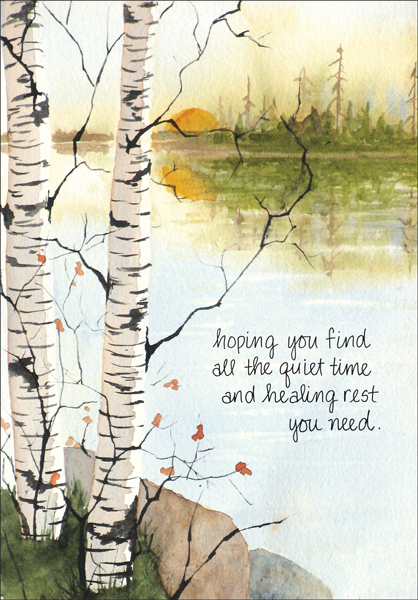 These tranquil get well greeting cards offer serene artwork and a simple get well message. Each package of get well cards contains a dozen 5 x 7 greeting cards and color-coordinated envelopes. 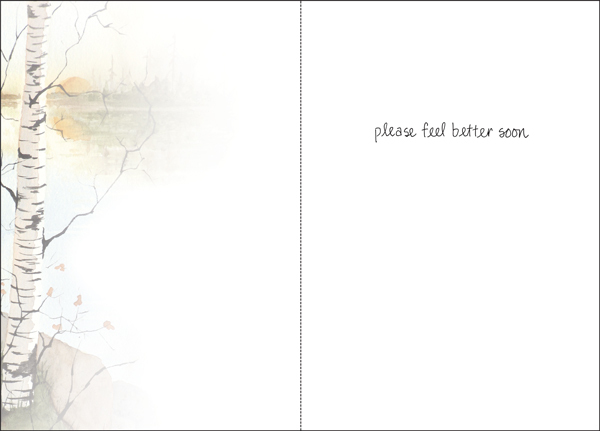 Order your get well cards today and wish someone well. 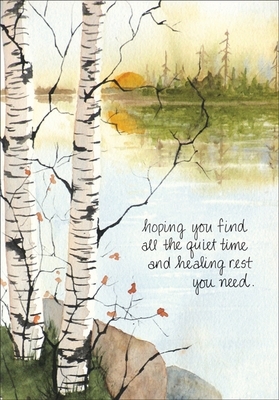 Front: hoping you find all the quiet time and healing rest you need.